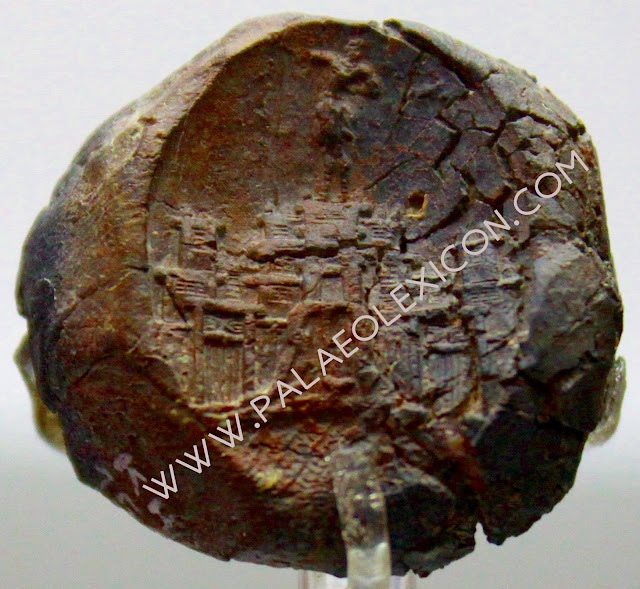 The Greek-Swedish expedition at Kastelli (Chania, Crete) uncovered this unique seal depicting a low hill by the sea, with a rocky and steep shore. A complex of multi-storey buildings, crowned by horns of consecration, occupies the hill and the surrounding plain. A young musculine figure holding a spear or staff , stands on the roof of the main building. He has long hair, wears a Minoan skirt and jewelery. 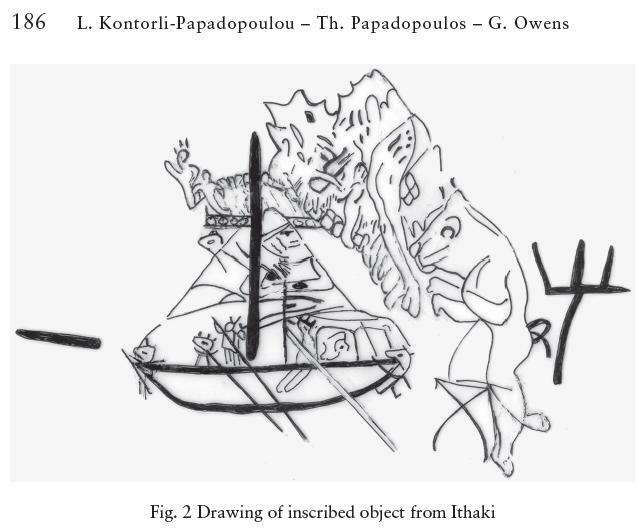 This is a very important finding revealing us a lot about the architecture of Minoan Crete approx. in the 15th century B.C. This complex of densely built structures is reminiscent of Çatalhöyük. We only see the front of the city/palace, but still one cannot stay away from making such a comparison. What do you think? Theseus: a Greek, Phrygian or Lydian? It is the year 502 B.C, in a local pub in Daskyleion, north-western Anatolia, things are heating up. A Greek called Creon, a Phrygian called Apolas and a Lydian called Timlis are fighting over a hero they all claim as theirs. Each one of them have their arguments about why Theseus was their compatriot. Creon: What would a Phrygian do in Crete? Kill the minotaur? You guys cannot kill a boar, how would you kill a minotaur? Apolas: Well, Pelops was a Phrygian but he became your national hero too. Timlis: You Phrygians are putting your nose into everything. The Nesians didn't leave you anything to claim and if it was not for us, the Cimmerians would have wiped you out of those lands. And you, Creon, should explain why it took you so long to setup statues in the honour of Theseus, when my grandfather Kumlilis, had a talisman depicting him. Creon: Silence Timlis! Lydian sources are always your grandfather or some guy at some place who saw or heard something. Ask any Cretan and he will tell you Theseus was from Athens. Start with Anakas the wine merchant; if he tells you Theseus was a Lydian, I will buy you both a kados of molax. Well, this scenario might have been possible in a multi-ethnic city such as Daskyleion. However, the cause of the debate could be the art depicted below. Did the Phrygians and the Lydians have their own version of the minotaur? Was this really a Greek story from the beginning? The fact is that, we lack of Phrygian and Lydian litterature, hence any Anatolian Minotaur myth, if ever existed, didn't make it to us. Is it possible that the Minoans made themselves supreme over certain Phrygian and Lydian cities? Considering that Miletus was a Cretan colony, the idea of slaves being taken from the Anatolian coast to Crete is possible. The bull is the second most significant cult animal after the leopard in ancient Southwest Asian culture of the seventh and sixth millennia B.C. as known from CataI Huyuk. Even the Proto-Indo-European root *tauro is close to the Semitic *tawr, which is not a coincidence. So, could the minotaur myth be a remnant of a neolithic Anatolian culture? Maybe, but in that case very old and strongly preserved only by the early Anatolian farmers who migrated to the Greek mainland and Crete. The final answer on these pieces of art however, is given in following abstract from M. Mellnik. The peace achieved by this agreement must have lasted for a prosperous period, which benefited greater Lydia as much as Phrygia and allowed increasing cultural interaction from the Ionian coast to the Anatolian plateau. As one symptom of this, we may note that both at Sardis and at Gordium Greek iconographic motifs were introduced in architectural decoration. Theseus and the Minotaur, for instance,appear, on a small scale, in a Lydian sima frieze, and in bold format on revetment plaques at Gordium (Pis. Vol., pi. 23 5), where a new meaning surely must have been read into the triumphant theme of' hero vanquishing monster': the king as conqueror and protector, similar tothe later Achaemenid reliefs at Persepolis. In Gordium, figural themes replace the old Phrygian diamond patterns in a new inspiration from the Greek world. 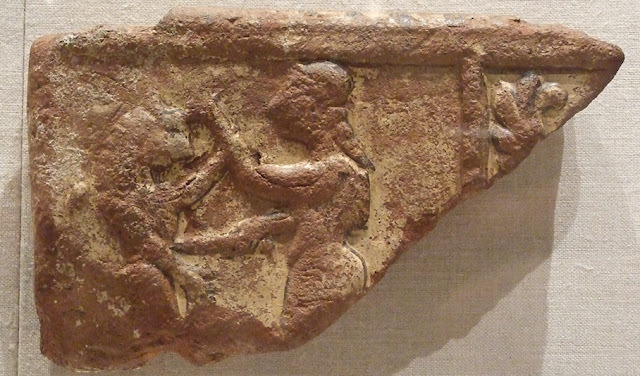 Perhaps we may see more direct Lydian reference in the revetment plaques with a lion and bull opposed decoratively. Hellenization moves into Phrygia and continues via the old channels into Phrygianized Mushki territory. So why was this blog started? 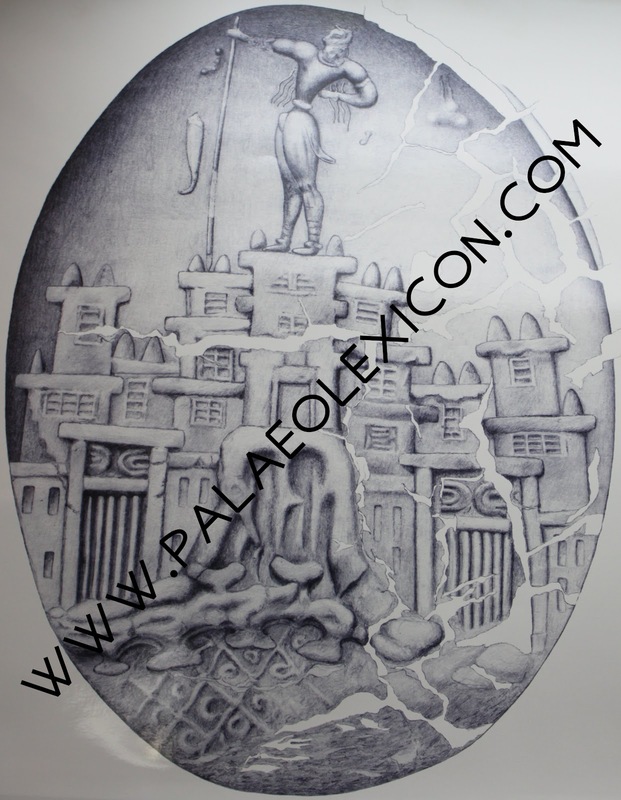 The next version of www.palaeolexicon.com will take some time to complete and the current site has no proper blogging system. There are a lot of things to share, announce and discuss, so why not take it all here?